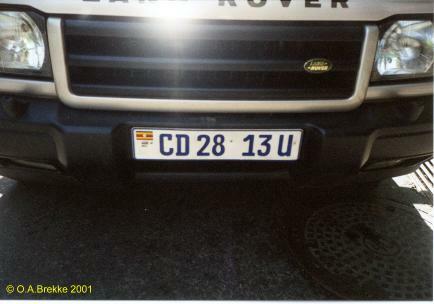 CD 28 13 U Diplomatic series. 1999 onwards plate style. CD = Corps Diplomatique. 28 = Norway. CD 28 13 U Close-up of the above. 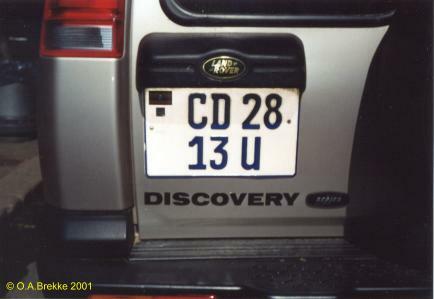 CD 28/13 U Rear plate of the above.